Joshua Bingaman is this week’s guest on The Life of Dad After Show. 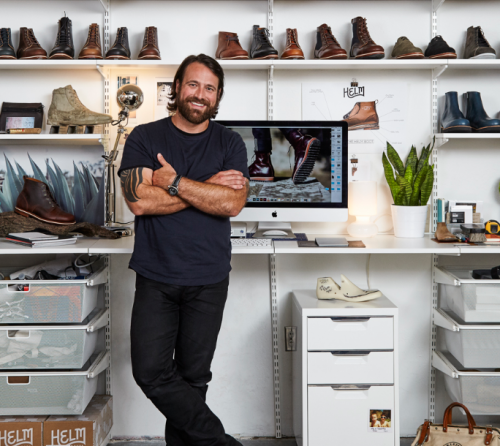 Joshua Bingaman talks with The Life of Dad After Show host, Art Eddy about how he as a CEO and founder of a company called HELM Boots looks to balance work and family. Joshua shares stories of how his entrepreneurial spirit led him to start up different companies. Art and Joshua find out that they have a lot in common with what types of movies they watch with their families and that they are snearkerheads. Joshua Bingaman is a true salt of the earth man. At just 39-years-old, he has boldly explored his many passions like a true adventurer. From Oklahoma-born touring musician and published poetry writer, to homebuilder in Honduras, Texas-based special needs teacher and coffee shop owner, Bingaman is an unabashed risk taker known to fall hard for community-focused trades rich in history that value quality above all. Bingaman’s love of footwear began in childhood as a young sneaker collector. His interest quickly evolved to include designer brands, handmade leather soles and hiking boots. In 2000, Joshua and his brother opened a footwear store in San Francisco called Subterranean Shoe Room geared towards like-minded footwear aficionados. In 2003, they sold their successful storefront and Joshua made the move to Austin, Texas where he started his own coffee roaster and cafe, Progress Coffee.